Hi Everyone. I’m Deb McEwan. Originally from South Wales I joined the British Army aged seventeen and have spent more time outside the UK than in it. I’ve always enjoyed stories whether writing or reading and even though I’ve had the urge to write for ages, it was only in the last ten years that I felt confident enough to have a go. Until today only my husband knew that! I started by writing poems/ditties to go with birthday cards for friends. I progressed onto lyrics and have co-written a number of unpublished songs. My favourite work is the poem my niece asked me to write and read on the occasion of her wedding. Out of the corner of my eye I saw the bride and groom tearing up so couldn’t make eye contact because I would have started to cry! My first book was meant to be a children’s song but instead it turned into Reindeer Dreams, a story about Barry the reindeer who wanted to be in Santa’s team. Once I started I couldn’t stop and instead of being sensible and writing something that might sell, I decided to go with the stories that were nagging away inside my head. As a result I have an eclectic mix of books about soldiers, a dead woman, aliens, a reindeer and a penguin who speaks with a Yorkshire accent. Details of my books and some of my songs are on my website. 2. Briefly tell us about your work in progress, what are you planning next? My current WIP is ‘Court Out (A Netball Girls Drama)’. I’ve played netball for ages and this book is about the players who are united by sport and divided by life. They all have their secrets and I’m in serious trouble if any of my netball buddies see themselves in these outrageous characters. 3. What was the most unusual source of inspiration for any of your books? Ants! Sitting in the garden one day, an army of ants walked right in front of me. When one got too close I raised my thumb about to squish it. A thought flashed through my head as I looked up to the sky wondering if anyone was up there, squishing us down here (weird I know but that’s the way I’m wired). When I looked again, the ants had moved away from me and lived to fight another day. But this one thought inspired the Afterlife Series – currently three books with another in the planning stage. 4. Who was your favourite character to write about? Michelle (Mouse) Warbutton from my Unlikely Soldiers series. We see her grow and mature as the series progresses and though she endures hardship and tragedy, she still has an appealing innocence and a love for life. Saying that, I quite like Max and Vicky, two of the Alien spiders in one of my more weird novels. a) Your favourite fictional character to accompany you? Bridget Jones – We’d have a laugh if nothing else. There are so many so I’m going to cheat here and go for two. Just about any Queen song, but today I’m going to go for ‘A Winter’s Tale’. A lovely song, which makes me feel nostalgic. The other is one I co-wrote for my husband to celebrate our 25th Wedding Anniversary. It’s called ‘We Belong Together’ and is very cheesy. d) Your favourite food & drink to take with you (we don’t know what will be available on the New World). It has to be mature cheddar cheese, cream crackers and a light and crispy white wine to wash it all down. e) Finally, tell us the one (Yes, that is just ONE) item you cannot live without? TWO TEENAGERS. NINETEEN SEVENTIES BRITAIN. THE ARMY. In a small Welsh village, naïve Michelle Warbutton is devastated by a shocking family secret. Forced to rethink her future, she longs to see the world. In Yorkshire and already world-weary, Guy Halfpenny is desperate to escape his miserable life. Both have limited choices. Their paths aren’t destined to cross until they join the British Army – where sexism is rife, homosexuality illegal, and political correctness a future ideal. Discover how lives are shaped, friendships forged and loves won and lost in this gripping adventure of humour, passion, and tragedy. Forced apart by their Army Service, will the Falklands War, the troubles in Northern Ireland and a posting to the British Army of the Rhine be the kiss of death for Mouse and Guy’s relationship? Is their passion strong enough to survive a dangerous vendetta or the personal tragedy of a close friend? Misguided acts carried out in the name of revenge and honour have life-threatening consequences in this gripping sequel of deceit, desire, and duty. Imprisoned for the attempted murder of Mouse, KC has to watch his back until a gangland leader takes him under his wing and employs him when he is eventually released. Serving in West Germany and desperate to be reunited with her husband, Mouse has to deal with an eccentric general, a power-crazed RSM and a junior rank with criminal intentions. In England Guy is blissfully unaware that his latest investigation will bring him closer to the man who tried to kill his wife, resulting in catastrophe and loss of life. Elaine is devastated at the consequences when the chain of command discovers her illicit relationship with Jill and is forced to leave her job in Northern Ireland. Will love and truth conquer all or will the evil actions of a twisted and callous mind triumph? You’ll laugh and cry at Unlikely Soldiers (Friends and Revenge). A tragic and sometimes humorous tale of Army culture, love, hate, passion and revenge. What really happens when we die? Twenty-something Claire Sylvester is about to find out. The morning after the best night of her life she is taken before her time. Claire is suspended in her mysterious new world. She watches as the secret lives of those she loves unravels, and sadistic villains are punished on the road to their own personal hell. All the while a higher authority ponders her ultimate fate. More than Claire knows depends on her actions and those of the unlikely partner who accompanied her on her journey. What will be her final destination? Beyond Death – a supernatural thriller of love and loss, deceit and revenge, with a little romance and humour. Initially devastated by her own death, Claire Sylvester has learnt to come to terms with her existence in the strange, mysterious world of the Afterlife. What she hasn’t been able to accept is that her stepsister’s kidnapper is still at large and too close for comfort to her family and friends. Will Claire discover her special talents in time to avert a family disaster? With unearthly intervention will the lives of the innocents be saved? 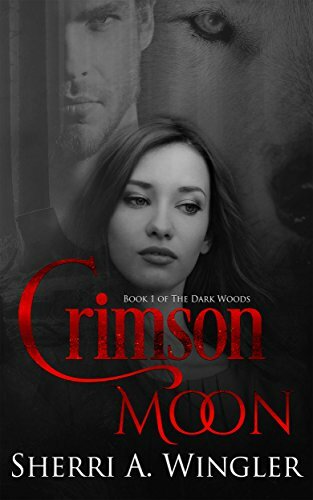 And will Claire ever find true peace and happiness in the constant battle of good against evil? ‘Beyond Life’, a fast-paced paranormal thriller of life, death, deceit and danger – the compelling sequel to ‘Beyond Death’. Claire Sylvester is vulnerable. Saved from her terrifying near-hell experience, she is now without the love of her soulmate Raphael and the wise counsel of the beautiful angel Gabriella. The ebb and flow of good versus evil takes a shocking new twist as Claire has a chance to make a difference. But the stakes are high – on Earth and in the mysterious in-between world of Cherussola. Will Claire find the strength and courage to put her plan into action, or watch as the lives of all those she loves disintegrate before her eyes? ‘Beyond Destiny’ – A thrilling, fast-paced conclusion to the Afterlife trilogy that will keep you guessing until the very end. For reality TV fans like the Terries, the quickest way to find out about human mating rituals, relationships and the vagaries of our waste disposal systems is by watching TV. So how can aliens capture footage when they might die if they set foot on planet Earth? Be glad you’re not Caroline and Phil Gibson whose every move are being analysed and recorded for the pleasure of the Terries on planet Largo. Will they ever discover who’s spying on them? ‘An Alien’s Guide to the Human Species’ – aliens, humour and suspense. Unaware that they’ve been the stars of an alien reality TV series since the day they met, Caroline and Phil Gibson are about to have a wake-up call that will change their lives forever. The sequel to ‘An Alien’s Guide to the Human Species’ – Sinister, with a touch of humour. Now that the Terries have found out about human mating rituals, relationships and the demon drink, they want more. The Phoenix spiders led by Max are all set to film the second series of ‘Human Species’ when their orders change. How will Max and his regiment stop humans from discovering the truth? Why have other spiders started killing people? What will happen to Caroline and Phil Gibson’s family when they learn what’s really going on? Are you different? Well so is Jason the Penguin. He’s also bright, funny and cute, and doesn’t sound like the other penguins. Jason’s Dad worries that nobody will understand his son and thinks he needs help. But does he? Discover what happens to Jason and his family in this delightfully illustrated rhyming story. Jason the Penguin (He’s Different) is the first of two books featuring Jason. It’s a ten to fifteen-minute read aimed at three to eight-year-olds. The ending will ideally encourage young imaginations to make up their own stories. Now that Jason’s Dad has learnt to understand him, he wants to teach him about life as a penguin, starting with the sea. Jason knows he should be able to swim, but the sea looks so big and scary. Will Jason be able to overcome his fear with the help of a vegetarian sea lion and some friendly crabs? Or will the naughty seagulls and teasing penguins stop him from even trying? See if Jason triumphs in this beautifully illustrated, amusing rhyming story. Jason the Penguin books are a ten to fifteen minute read aimed at three to eight year olds. They will ideally encourage young imaginations to make up their own stories. To be released on 1 August 2017. 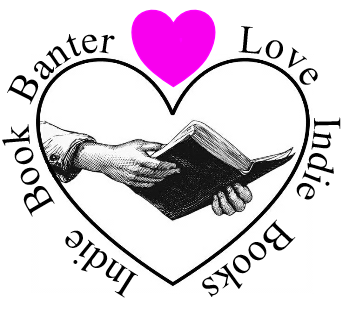 Thanks for spreading the word Indie Book Banter, much appreciated.